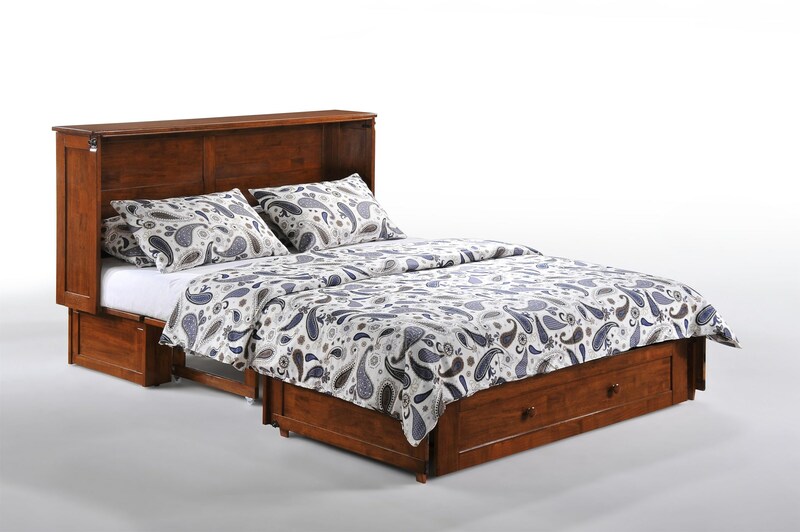 Make the most of your spare room with this space-saving Murphy chest bed. When not in use, the bed folds up and disguises itself as a chest that can be pushed against a wall. Simply unfold and pull out the bed when you have guests over to give them a comfortable sleeping experience that even includes a built-in footboard storage drawer. For extra convenience, two outlets on the side of the bed let your guests charge their electronic devices while they sleep. The Murphy Chest Bed Clover by Night & Day Furniture at HomeWorld Furniture in the Hawaii, Oahu, Hilo, Kona, Maui area. Product availability may vary. Contact us for the most current availability on this product. Browse other items in the Murphy Chest Bed collection from HomeWorld Furniture in the Hawaii, Oahu, Hilo, Kona, Maui area.